I have been admiring the Herbivore range for some time now, especially their oils, they look so luxurious and simple, yet effective. I think simplicity is pretty key in skincare because when you begin combining too many ingredients and products, you have no idea what is really working or which products are causing harm. Additionally, the purer you can get your skincare to, the better because you know these ingredients won't cause you harm in the future. Herbivore creates their products with only the purest and highest quality natural ingredients, making their products some of the most luxurious natural skincare products around! I was so excited to be sent this oil from Herbivore and Octoly complimentary for review purposes. 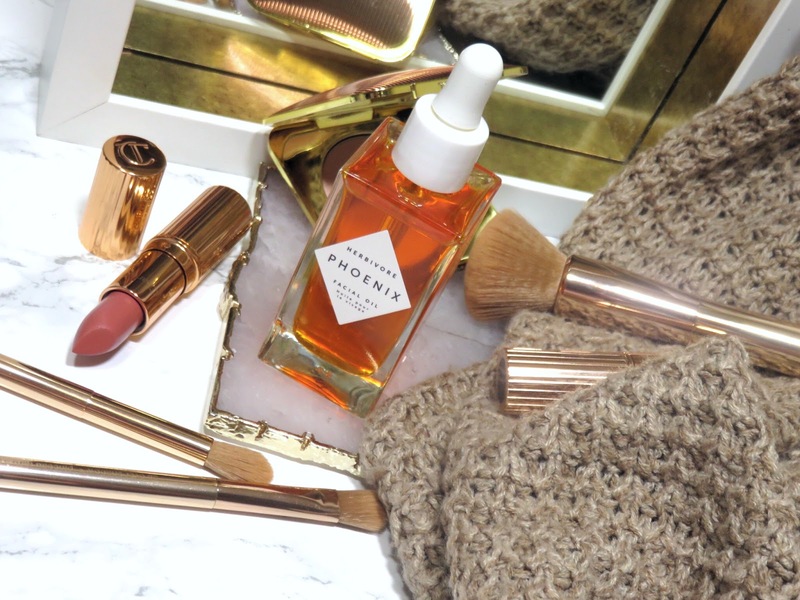 The Herbivore Phoenix Cell Regenerating Facial Oil retails for $88.00 USD and is available at Sephora and other retailers. 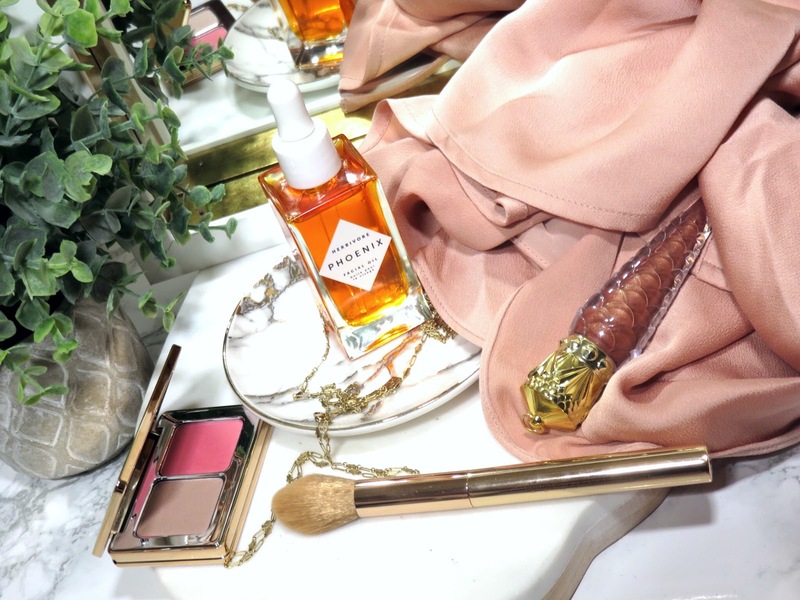 Herbivore's aesthetic and beauty philosophy is best describe as, minimalist. This really shines through in their simple packaging, which I can really appreciate. I think the simple glass bottle and simple label really allows the product to be the star. 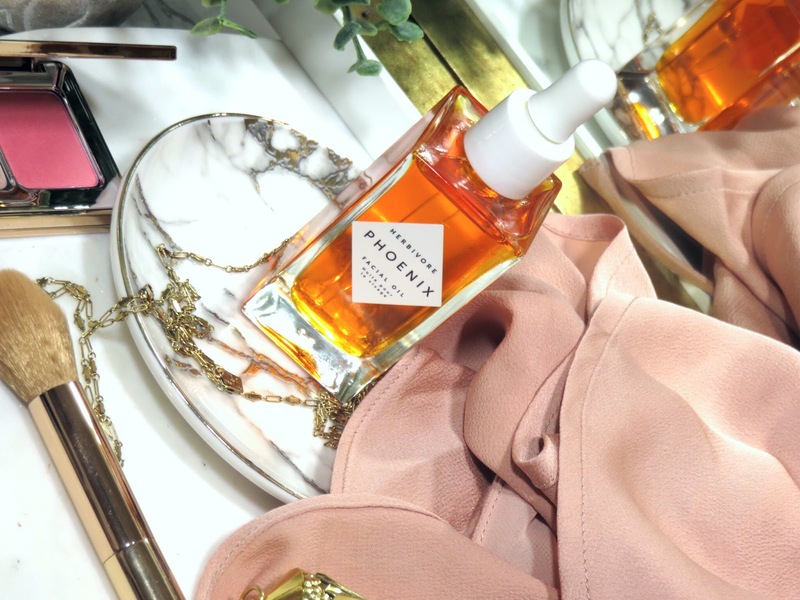 This oil comes with a dropper applicator, which is typical of most facial oils. This oil is rich and incredibly nourishing, I find 3-4 drops is plenty to cover the face and neck. While it is very rich, it doesn't feel heavy or greasy, it just feels hydrating and luxurious. I take the drops in my hands and rub my palms together, then I gently press the product all over my face. It doesn't absorb instantly, it sits on the skin creating a barrier of moisture and nutrients. In the morning, my skin feels very soft, plump, and very hydrated! I know my skin has been very well hydrated and nourished because in the morning, there is still a fine layer of moisture still on my skin, which means my skin has been full saturated overnight. Your skin can only absorb so much product and nutrients in a period of time, so feeling that layer of remaining product on my skin makes very happy. As far as cell regeneration or turnover, I believe that this product is highly effective because my skin feels very soft, like new skin. Also, I notice a plumping effect after using this product. The lines around my mouth don't seem as deep and my skin has a good elasticity and bounce to it. CoQ10 - This ingredient was the most intriguing, especially because I had never seen or heard of it before. Based on the name, it sounds like a chemical compound created in a lab but it is actually a naturally occurring enzyme found in the body. I has been shown to improve signs of aging, fights free radicals, and keeps the skin healthy. It is a strong antioxidant and helps in the production of collagen, which increase elasticity and prevent signs of aging. This is the first product I have used containing this ingredient and it appears that it is working because I have seen signs of increasing elasticity, a reduction in the depth of my lines, and softer skin. Rosehip Oil - I have used many face oils because of my dry skin, my favorite ones often include rosehip oil. Harvested from the seeds of rosebushes, this oil is packed with vitamins, antioxidants, and fatty acids to help promote radiance. increase the health of your skin, and prevent signs of aging. The fatty acids help retain moisture for much longer and is also an anti-inflammatory, great for dry and sensitive skin. It also helps boost your radiance and helps even out skin tone and discoloration. Chia Seed Co2 - This is another ingredient I have never used or heard of until now. The extract from Chia Seed Co2 has the highest concentration of omega-3 linolenic acid available! What does this mean? It helps the skin maintain moisture, increases elasticity, and helps reduce the appearance of line and wrinkles. It is incredibly skin smoothing, retexturizing the skin! Again, this ingredient must be effective because I have seen results in my skin's texture, softness, a reduction in the depth of my lines, and an increase in my hydration levels. Sea Buckthorn Oil - This oil contains over 200 nutrients! Talk about a multi-vitamin for your skin! Derived from little orange berries, it has high concentrations of vitamin E and C, to help nourish and brighten the skin. It is an anti-inflammatory, anti-bacterial, and packed with antioxidants! Making it great for acne prone and sensitive skin types. Berries are some of the most antioxidant packed fruits and will significantly help in fighting signs of aging and increase the elasticity of your skin. The bonus is that although it is a nutrient rich oil, it doesn't clog pores! 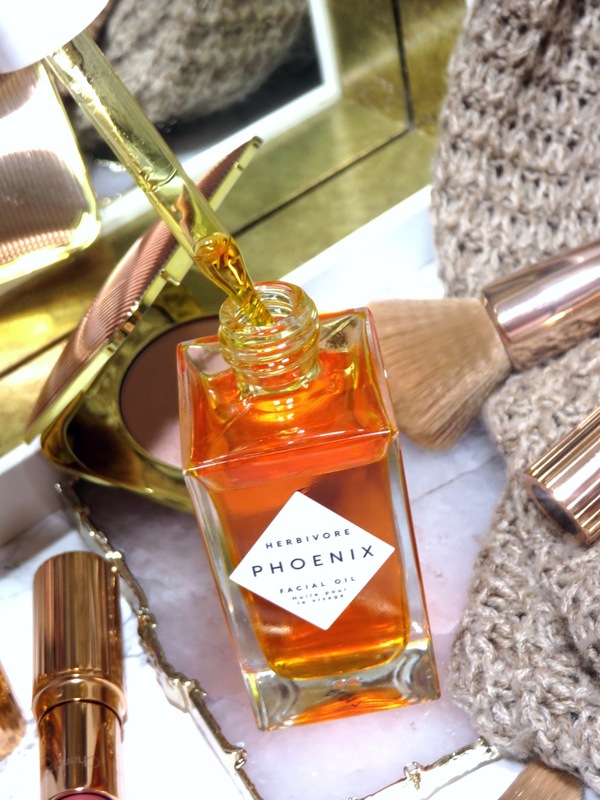 The phoenix is a creature that regenerates from it's own ashes, reborn again as new, making it the perfect name for this oil that promises and delivers on regenerating properties. This oil truly helps regenerate and refresh your skin. It retexturizes, making your skin significantly softer and smoother! I really notice the difference in the elasticity and plumpness of my skin! My lines are significantly reduced and the long term hydration it provides is incredible! I use it only in the evenings and every morning I look at my skin and I'm stunned! 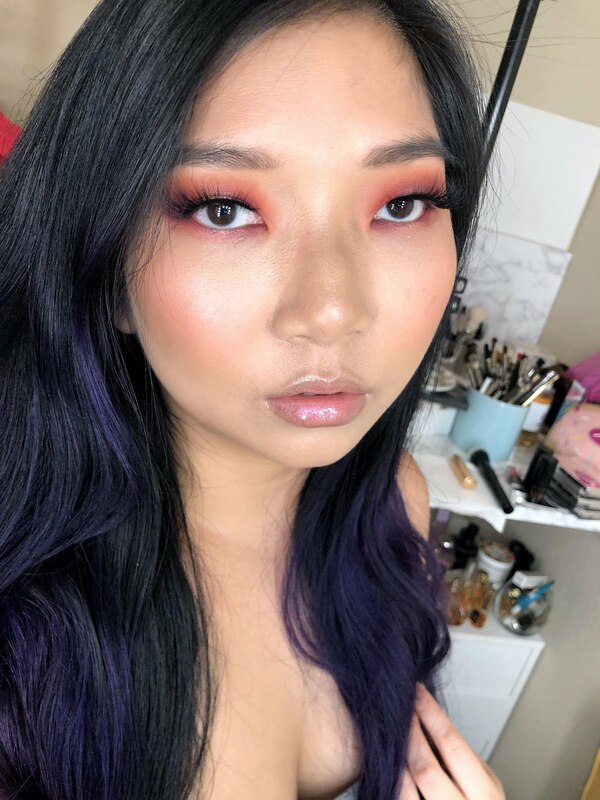 It's a look and feeling that is hard to describe but I can just tell my skin looks so much better. While I don't often break out, my skin just looks clearer and fresher in the morning. I guess my skin is just renewed and rejuvenated! The other thing I notice is the texture of my skin is just so supple, it is really unlike many products I have used before! It really brings back the youthful bounce and freshness to your skin. My skin has a smooth and soft texture that is maintained long beyond the use of this product. This oil has become one of my new favorites and will remain a essential to my collection for as long as it is available! 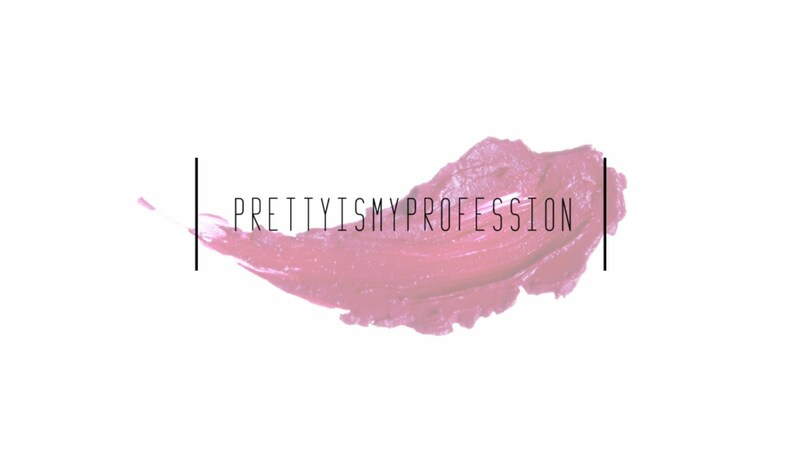 I highly recommend you try their product out, especially if you have dry and aging skin! You will really see a noticeable difference in a few weeks of use and you won't go back to your usual evening moisturizer!